TiVo is looking to build out its consumer base by extending access to the service via streaming apps set to launch on third-party hardware, including Apple TV, though the company plans to restrict video quality to a paltry 720p at 30 frames per second. The previously unannounced specifications were revealed by TiVo VP of consumer products and services Ted Malone in an interview with TechHive. According to Malone, TiVo's forthcoming apps for Apple TV, Amazon's Fire TV and Roku share a familiar user interface and feature set with TiVo's own hardware options, but streaming will be capped at 720p at 30fps. Further, native MPEG-2 broadcasts, 5.1 surround sound audio output and "SkipMode" are not supported. "I want 720p 60 [fps]," Malone told the publication. "I've done some internal demos proving that 720p 60 [fps] is actually noticeably better than 720p 30 [fps]. It's really a battle for resources and just getting it done." While TiVo's existing hardware lineup can handle higher quality streams, it would come at the cost of key functionality like streaming TiVo Mini VOX, Malone said. As such, Malone believes the Mini line, which supports 4K resolutions and MPEG-2, represents a better option for end users. 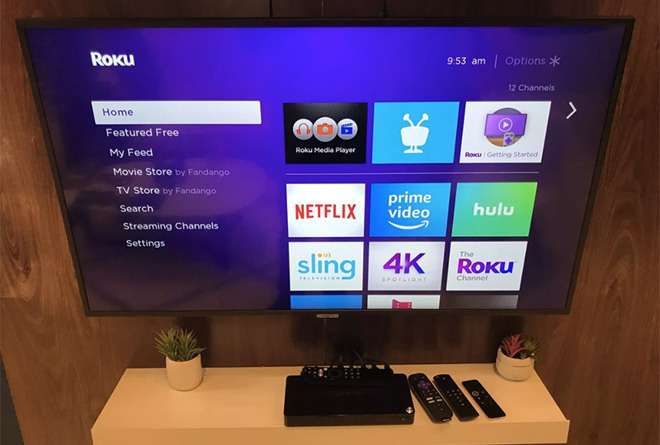 "Even with Roku and Apple and Fire TV, the Mini still is a better multi-room solution if you want the same remote, the same performance, the same video quality," he said. Currently, TiVo subscribers who want to view live programming and store DVR content on multiple TVs must use a first-party device like the Mini. The upcoming app selection will present an alternative to users who already own a device made by another manufacturer, though it appears TiVo is crippling the software on launch. TiVo first announced its streaming app strategy at the Consumer Electronics Show in January. At the time, the company said its app lineup will be free to use as an add-on to typical monthly rates. A firm launch date was not provided, though TiVo estimates a launch in the second and third quarters of 2019, with a Fire TV app coming first followed by a version for Roku and finally Apple TV.